Bonjour Paris! 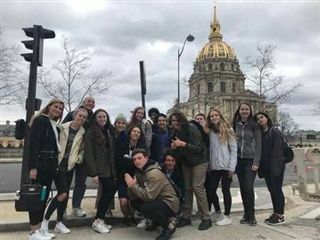 A group of French language students spent their spring break in the city of lights, living with host families. During the week, students attended classes at Lycée Victor Duruy, which is located in the heart of the city. 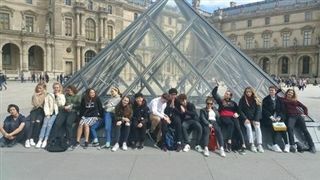 They spent the weekends and afternoons exploring the city and learning about Parisian culture. A highlight for many was being in the city on April Fool’s Day, which originated in France! As part of this dual exchange, French students will be visiting San Diego and staying with Pacific Ridge families starting on Monday.